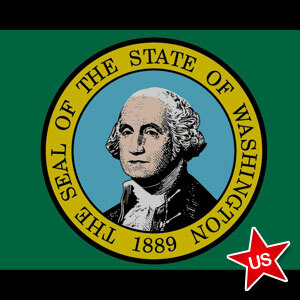 A campaign begun by poker players in the state of Washington that aims to legalize real-money online poker is making progress. A player-backed initiative that has established a website at WAiPokerNow.com is asking legislators to take another look at regulating online poker in the state. The campaign was born following the failure last month of State Rep. Paul Harris’ proposal to decriminalize Internet poker. Washington’s existing law makes it a Class C felony punishable by up to five years in the slammer and a $10,000 fine to gamble online. That law has been in effect since 2006 in an effort to protect the state’s tribal casinos. Harris was hoping to amend that law and make online poker play a civil infraction that maximized the penalty at a $50 fine. However, that proposal failed to garner support. The Washington players behind WAiPokerNow.com refer to the current statute as clearly egregious and not in the best interests of Washington residents. The players’ grassroots lobbying effort has now gotten the attention of lawmakers with a pair of initiatives designed to change the laws and allow for online poker play within state borders. Initiative 582 calls for the Washington State Gambling Commission to license and regulate operators who provide online poker within the state. Those operators must be physically located within the state, but do not necessarily have to be providing services from a land-based casino. The initiative seeks to establish a competitive marketplace in which both Indian tribes and non-tribal gaming interests can participate. Players must be 21 years of age and can log on from computers and mobile devices. The second proposal, Initiative 583, is intended as a back-up plan in the event that Initiative 582 does not come to fruition. Initiative 583 would remove both the felonius nature of the existing law and do away with civil infractions that were proposed by Rep. Harris. Online poker would not be legal, but it would also not be subject to harsh penalties. The passage of Initiative 582 would render Initiative 583 as moot. WAiPokerNow.com now hopes to collect signatures of Washington residents in support of the initiatives. The group is asking for volunteers to join the fight to legalize online poker in the state. The idea is to get lawmakers interested in the proposals enough to introduce the initiatives in the 2014 legislative session. Should that fail to happen, there is still the possibility that residents can vote on the issue if the initiatives can find their way on the November 2014 ballot.